Are you a foosball game enthusiast, love soccer, or crazy about some fun competition? The all-new Human Foosball game is all that and more! You can adjust where you put the offense and defense, pick your teams, and start playing. Unique patented design does not require any long plastic poles. Just inflate and get your game on. 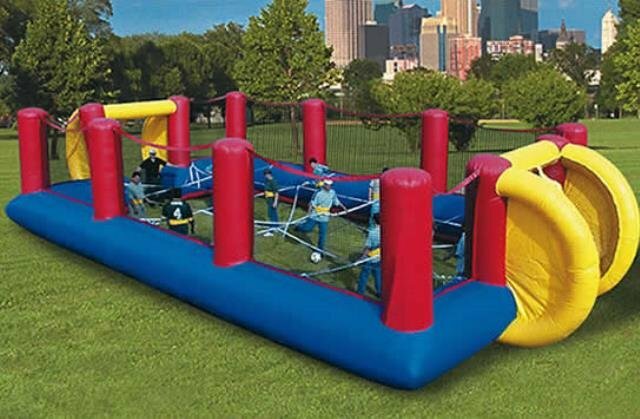 Great for corporate events, school events, and sporting events. $325.99 plus tax per day!